Lime conifer & plum variety? - Hi Jay. Your work is beautiful! 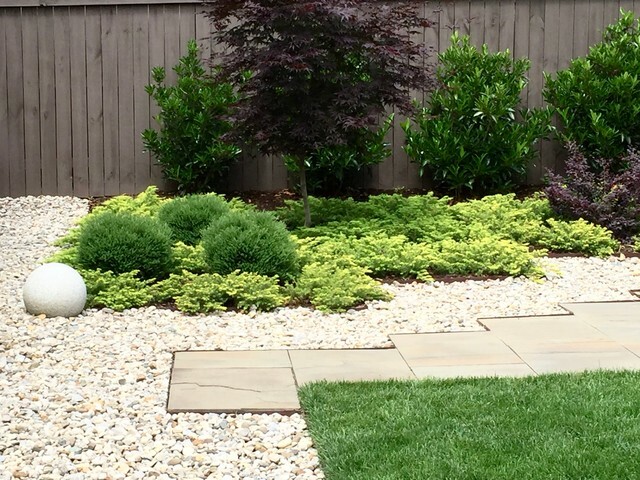 What varieties are the line spreading conifer and the plum tree? I need plants of similar scale.